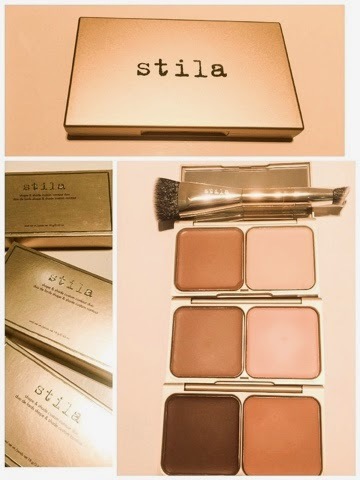 Stila's new Shape & Shade Custom Contour Duo is ultra creamy and super-soft. 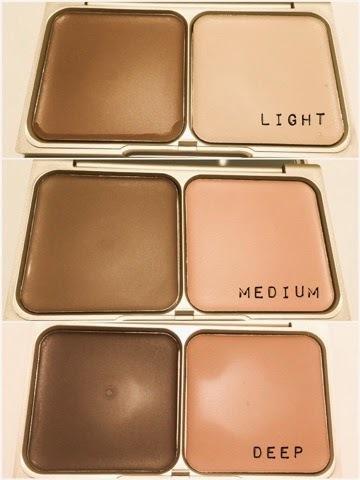 Available in 3 shades, ligh, medium and deep to complement all skin tones. 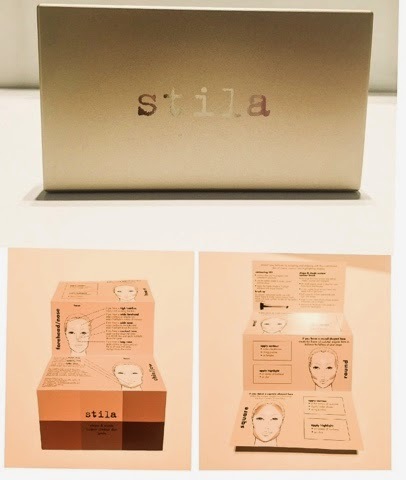 Great insert to guide you on where and how to contour and how to achieve a natural or dramatic contour and where to apply highlights to your features. This artistry inspired design brush is perfect to pair up with the Shape & Shade contour duo. Double ended super soft synthetic bristles make it easy to contour and highlight the natural contours on your face. 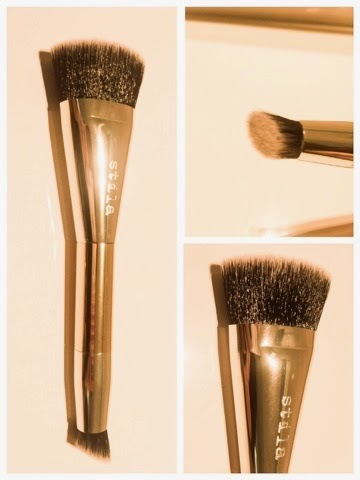 The small ended brush is designed to fit around the eyes and nose. These just arrived in stores and I have not had the chance to play around with them, I will report back on my thoughts on how they perform and how the shades do on different skin tones and how the brush performs.